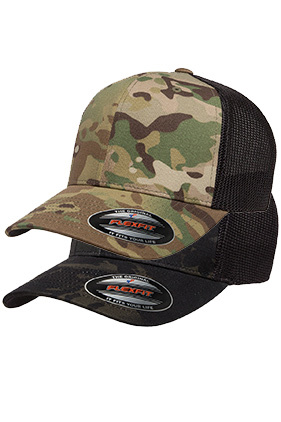 55% polyester/43% cotton/2% spandex trucker mesh hat. Structured, mid-profile, 3 1/2" crown, six-panel. Permacurv® visor, silver undervisor. Hard buckram.